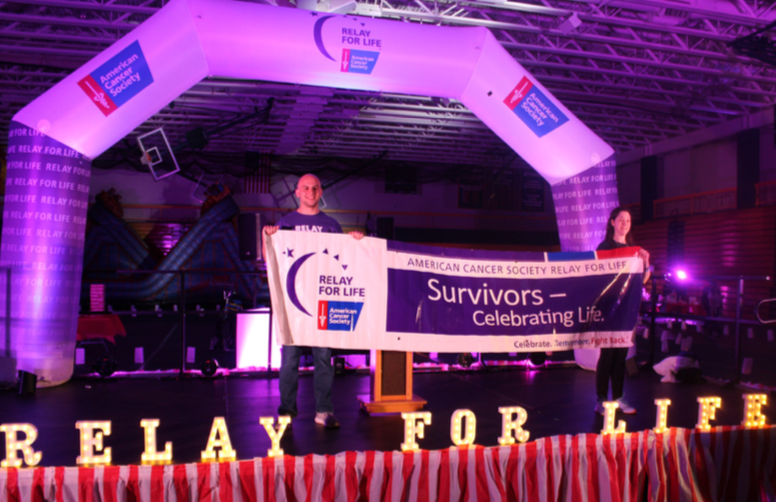 The Student Activities Board (SAB) hosted the 6th annual Relay for Life event in the Pratt Recreation Center on April 4. Julia Pagano, residence director and coordinator, helped set-up and organize this event with help from some volunteers staff and some students. Relay for Life is the signature fundraiser for the American Cancer Society. It is a team fundraising event at which team members take turns walking around a track to signify that cancer never sleeps. The money raised through Relay for Life events help strengthen the American Cancer Society’s mission; to save lives and celebrate life. Donations are used to fund cancer research, patient support programs, prevention education, and treatment programs. 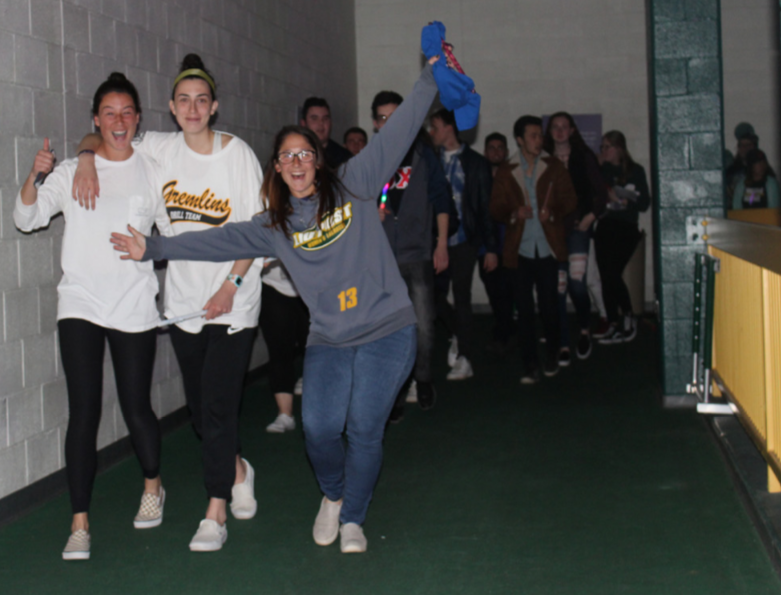 “All students from Greek Organizations and student clubs, several different departments on campus like Enrollment Services, Center For Healthy Living, Athletics, and LIU Promise, and numerous students from the LIU Post student body, participated this year,” Pagano said. During the event, speakers came up and talked to the people in attendance about how cancer has somehow impacted their lives. 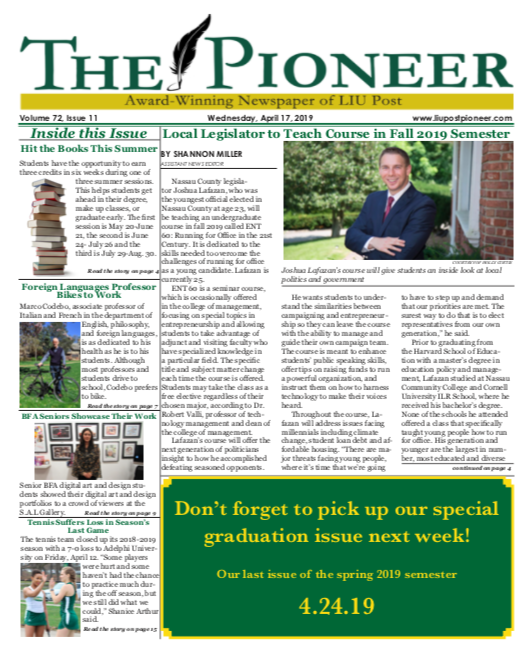 James Sinclair, LIU Post alumnus and cancer survivor, told his story of how he was diagnosed with cancer and is now a cancer survivor. “When you hear everyone’s story of how they were impacted by cancer, really makes you want to do more, to try and beat this disease,” Sigma Alpha Epsilon treasurer, Joe Sear, a sophomore accounting major, said. Participants made their way to the track in the Pratt Recreation Center for their walk in support of the American Cancer Society. After that, the people were able to walk the smaller track in the middle of the Pratt, play different games, and visit the different clubs and organizations that had tables to help raise money for Relay for Life. This year’s event raised just over $40,000 for the American Cancer Society,” Pagano said. “Every year the brothers of Sigma Alpha Epsilon do all they can to help out, donate, and support the American Cancer Society,” said Sear. “It was a great turn out. 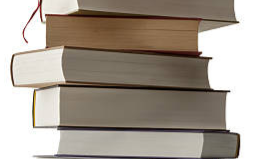 Over 500 students attended the event,” Pagano said.